DROP4DROP - Looking back on 2018! What a year it has been for drop4drop! From visiting communities in South Sudan, to implementing projects in Mozambique and Malawi, we’ve met some amazing people around the world! Drop4drop has worked alongside fantastic partners to provide clean water to some of the most rural communities across the globe! This year, drop4drop focused on expanding work throughout South Sudan and Malawi, ensuring sustainable water solutions in some of the most water stressed regions. 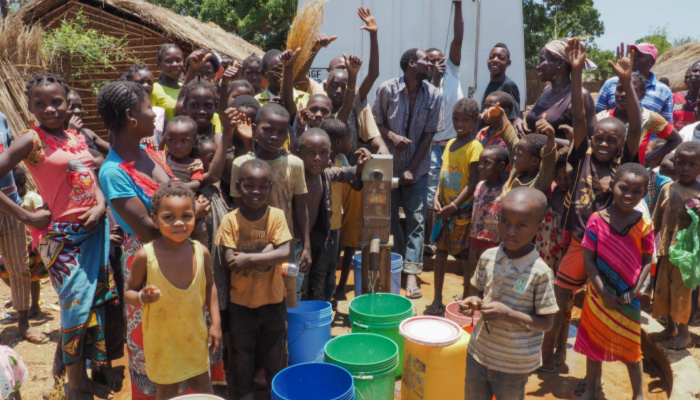 Access to clean water empowers communities and enables them to focus on their futures. Alleviating time spent in the collection of water means families can send their children to school and focus on improving local economies. Thank you to everyone who has supported our mission throughout the year, taken part in our #LearnGuitarWithEd campaign, and helped spread awareness of the world water crisis! Great things happen when we work together and we’re looking forward to continuing our work with our in-country partners and supporters in 2019!